A long time member of the National Marine Educators Association (NMEA), Keeley heads the association's Caribbean chapter and noted that while the campus attracts great local students, it is a goal for the Brac UCCI to attract both international students and professors that would not normally come to the island to study and work. He said that he, a trained marine science teacher, could assist in teaching the course, but the course would require international professors to teach it alongside him. Please note that the International College of the Cayman Islands (not UCCI) traditionally offered a Saturday morning (4-hours per) marine biology, 5-credit course, at least during the 1990s! However, demand for the course was always minimal (even as a degree elective), and so it was always a demand/supply-based offering — if the demand was sufficient (i.e., at least ten students enrolled per time) then the course was on. What is even more interesting — not to mention ironic — is that it was always mostly international (expat) students who were interested enough to enrol. The same could not be said for local students, even though they always way outnumbered the expats in the total student body. Finally, this information is NOT heresay; I used to work there full-time and still do on a part-time basis. ICCI was always a trail blazer, though gets little enough credit for that. I am aware that ICCI still offers a short course on marine biology, however, I have no knowledge as to whether or not anyone has taken this course recently. I would also argue with Frustrated about young Caymanians interested in an in-depth course such as the one I believe UCCI hopes to offer. There are several excellent Caymanian scientists working with DOE who had to complete their marine science studies abroad as they were not offered here. The courses should also be open to expat students as well as Caymanians – we all share the same ocean after all! This has got to be one of the most worthy causes I've heard of in a long time. Can't the service clubs work together to organize a fundraiser to help in getting this lab? The Rotary Club put a library in, I would think this is just the thing to unite everyone & anyone to rally to their cause! This university is a Godsend to this island. Dreams Dreams Dreams – a promise is a comfort to a fool. 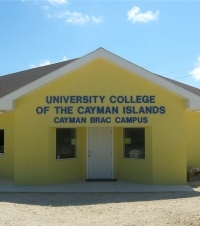 They promise the world at UCCI Cayman Brac just to get you in and then you cant even get your associates degree in the time frame that others can because they dont offer the courses to make this a reality. More money poured into the Brac for no realisable purpose. It's great that UCCI is looking at starting this course – and about time, too. We need to stop looking at the green of money as the be-all-and-end-all of everything, and started to understand the world – and in this instance, the ocean – that surrounds us. Good for them all around. What a great opertunity for Caymanians! Good Going Roy and Rolston, Good going Brackers, Lets make sure we can do our own EIA reporting and keep those funds at home when the first group of graduates complete this program. Too bad there are not any posts here to support this good thing. As you can tell, CNS and all its fans are all about negative and keeping mocking birds singing. Opps, guess I will get lots of replies now! Or will this not make it on the board? CNS: And where did you read about "this good thing"?